Thank you for joining us as a CTSA Giving Day Ambassador. To make this easy and fun, we’ve put together a toolkit with everything you need to reach out to your friends and family! Download a pdf of this toolkit here. *TIP: If you register as an ambassador, you will get a personalized link from your Ambassador Dashboard to encourage others to give. Throughout the day, you will be able to track your impact on the campaign in your customized Ambassador Dashboard as gifts come in. 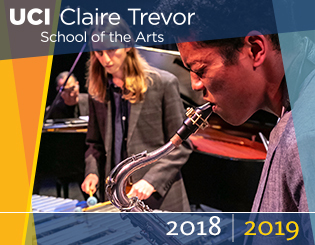 Register at givingday.uci.edu. 100 gifts and 40 student scholarships in 24 hours. Update your social media profile picture with a Giving Day image from the library below. 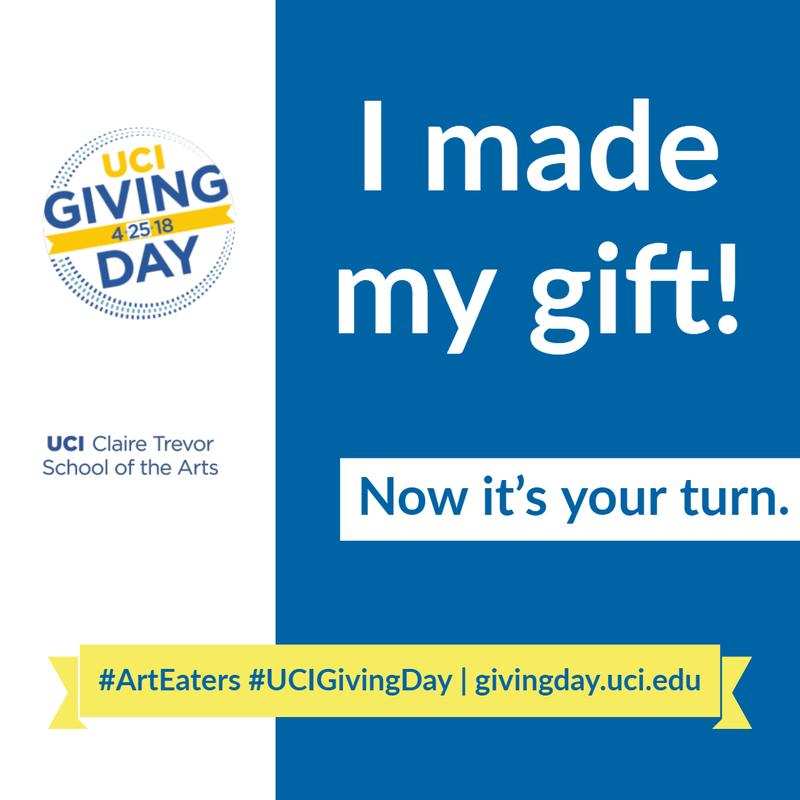 Don’t forget to encourage everyone to use the hashtags #ArtEaters and #UCIGivingDay. Share why you give – make it personal, share a memory. Consider tagging friends so they can save the date and ask if anyone is interested in becoming an ambassador too. Share a photo of your time at Claire Trevor. Post a selfie in your UCI gear. Remember to include the link for Giving Day. Post throughout Giving Day, the more people see your posts the more reminders they will receive. Feel free to share content from @CTSA_UCIrvine. Here are some sample messages you can easily copy and paste if you need some inspiration! 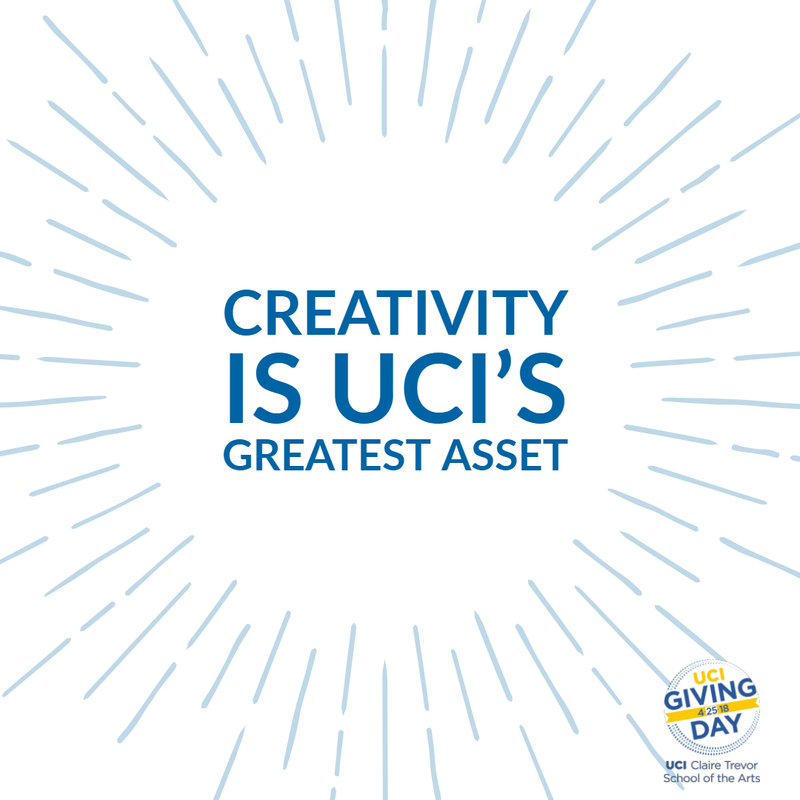 Thank you to everyone who made #UCIGivingDay a success. 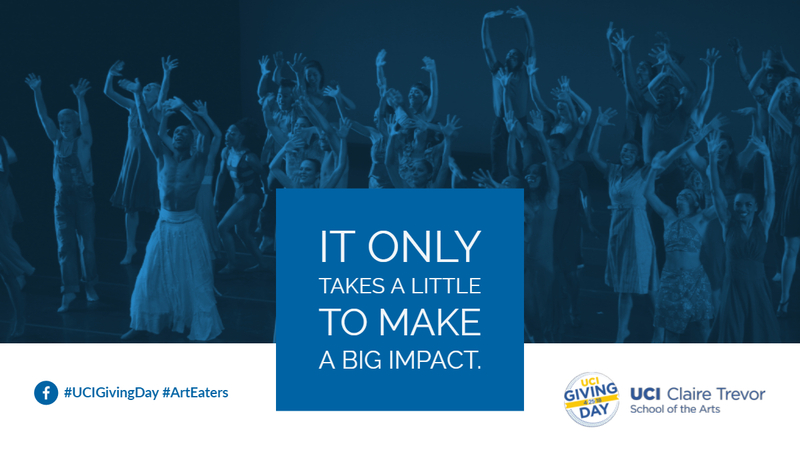 We proved – #ArtEaters GIVE BACK! Click here to access all images.